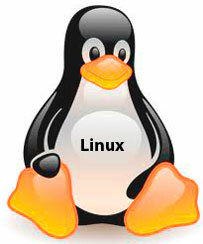 Linux is an open source operating system for computers based the older UNIX operating system. Open source means that the Linux can be used, modified, and redistributed by anyone, including commercial organizations. It is the most widely used operating system on computer servers and has a small, but growing base of desktop users. Because Linux can be modified and redistributed, several mainstream variations have become popular, including Ubuntu, Fedora, and openSUSE. Linux is popular because it is free, heavily modifiable, and has a large base of users which makes support easier. Professor Norm's Guide to Install Linux - A helpful beginner's guide by professor Norm Matloff on how to install Linux. How to Install Ubuntu - A guide on how to install Ubuntu 7.10. While the guide is beginning to get a little dated, the information is still correct and valid. Download Ubuntu - The official download page of Ubuntu. Get the files, burn a CD, install it. Doesn't get any easier than that. Linux distributions - A listing of the names and links to the different distributions that exist. Over 130 are listed. Basic UNIX Commands - A listing of main commands that will get you started. Just about anything is possible with these few commands. Commonly Used Unix Commands - A listing of popular commands and control characters for use in a Shell terminal. UNIX Command Dictionary - An exhaustive list of commands. Includes information about piping commands and the vi editor. Updating your Linux - General information on how to update the most popular versions of Linux. Updating a Linux/UNIX OS - Additional information on how to update FreeBSD, Red Hat, Debian, and more. apt-get Information - Information on using apt-get, the command line tool for handling packages. Compiling the Kernal (video) - A great video by Stan Bak about how to compile the Linux kernal (something not normally needed by novices). Building a Kernal - Information about configuring, compiling, and installing the Linux kernal. Compiling (pdf) - A PDF guide to compiling Linux. Linux Kernal HowTo - A short guide on how to compile a Linux kernal. Includes obtaining the source code, compiling, and some helpful tips. Open Office - The official page for the OpenOffice word processing suite. Essentially a free version of Microsoft Office with just a few less bells and whistles. GIMP - The install page for GIMP, the Gnu Image Manipulation Program. Filezilla - A free FTP program that can be used in Linux. Fairly versatile program. Installing Firefox - A helpful guide from Mozilla on how to install Firefox on Linux. Bash Programming How-To - A complete guide. Starts off with Hello World and then gets into the wonderful world of compound commands using pipes, loops, and functions. Fancyio - A guide on how to make your bash shell scripts interactive. Unix shell scripting with Bash - A great tutorial on using bash shell scripting. Contains just about everything you may want to know. Apache web server - The website for Apache, by far the most common web server on Linux systems. The majority of the web servers in the world run Apache. Installing and configuring Apache - An exhaustive guide from MIT about installing and configuring the Apache web server on Linux. A guide on how to install Apache as well as PHP, the web programming language. LAMP stands for Linux Apache MySQL PHP. It is a group of packages that is very common to install together. Linux is the OS, Apache is the web server, MySQL runs the database, and PHP is a web programming language to interface with the database among other things. Advance IP Networking - A fairly advanced guide to implementing and modifying the Linux protocol stack. Network Stack Walkthrough - An advanced guide on the Linux networking stack. This is not something that novices or normal Linux users will have to worry about. Linux Networking How-To - guide with many common Linux networking problems. Linux Security - A simple guide on some common security problems. Includes things such as disabling unused networking features and setting strong passwords. Security Best Practices when it comes to Linux. Covers a lot of basics that people may overlook. Security Awareness Tips - steps you should take and tools you should run to secure your Linux computer. Security Tips (such as using SSH) for users of Linux. Tips for a Secure and Safe Installation - to ensure that you have secure installation of Linux so you can operate smoothly. Computing Tips and Tricks - some general tips for both Windows and Linux users.